Banátu [bntoo] (plural Banátu or Banátus) noun 1. African language group: a large group of Niger-Congo languages, spoken in central, eastern, and southern Africa. 150 million. 2. ?member of African people: a member of a large group of peoples living in equatorial and southern Africa (sometimes considered offensive) [Mid-19th century. 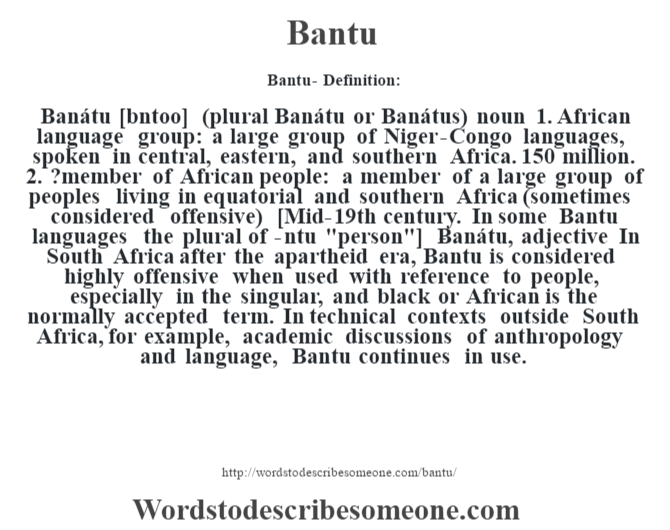 In some Bantu languages the plural of -ntu “person”] -Banátu, adjective In South Africa after the apartheid era, Bantu is considered highly offensive when used with reference to people, especially in the singular, and black or African is the normally accepted term. 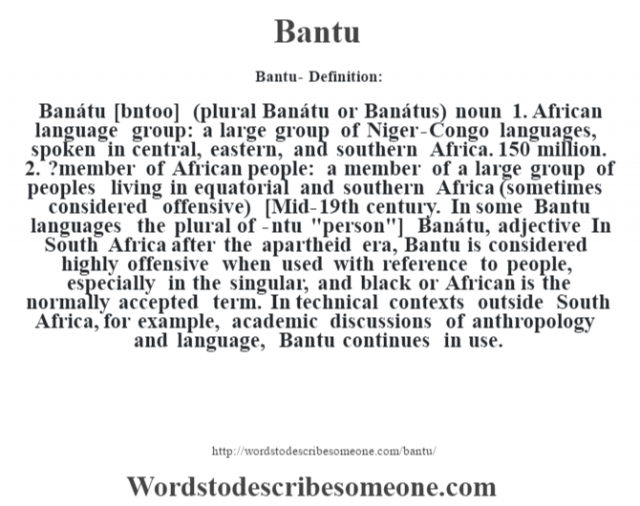 In technical contexts outside South Africa, for example, academic discussions of anthropology and language, Bantu continues in use.